Birmingham greyhound track Hall Green Stadium, home to dog racing for nearly 90 years, has been sold for over £3 million – sparking fears it could be redeveloped for housing. The site, which includes a 2,700 capacity greyhound racing stadium, snooker club, restaurant, bar and a 48-bedroom hotel, has been sold to Euro Property Investments Ltd, part of Yardley-based Europackaging. But Racing Post chief greyhound correspondent Jonathan Kay said the sale raised immediate concerns for the future of the dogs at Hall Green, a popular venue for dog racing in Birmingham since 1927. 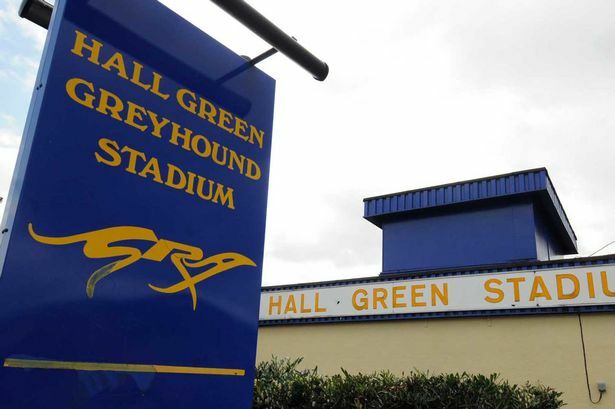 The Hall Green site is currently let to the Greyhound Racing Association after a 15-year term to 2028 was agreed – but the agreement is subject to a break clause after five years. Jonathan Kay said: “Every time a greyhound stadium is sold, one of the first things people look at is the property angle. It is a fact of life that hard-headed businessmen are more likely to look at property, especially now that we are back in a time of rising property prices. The new owners, Euro Property Investments Ltd, is a subsidiary of Europackaging, which was itself the subject of a pre-pack administration in September 2009. The pre-pack deal was hailed as saving 200 jobs in Birmingham and more than 800 worldwide, when it was bought back by former owners the Majid family. But it later emerged that dozens of small suppliers and an eight-strong syndicate of banks had been left out of pocket to the tune of £76 million. Leisure entrepreneur Luke Johnson had bought the dog tracks at Hall Green, Perry Barr, Manchester, Wimbledon, Oxford and Portsmouth in a £50.3 million deal in February 2005 from previous owners Wembley. No-one from Europackaging was available for comment.